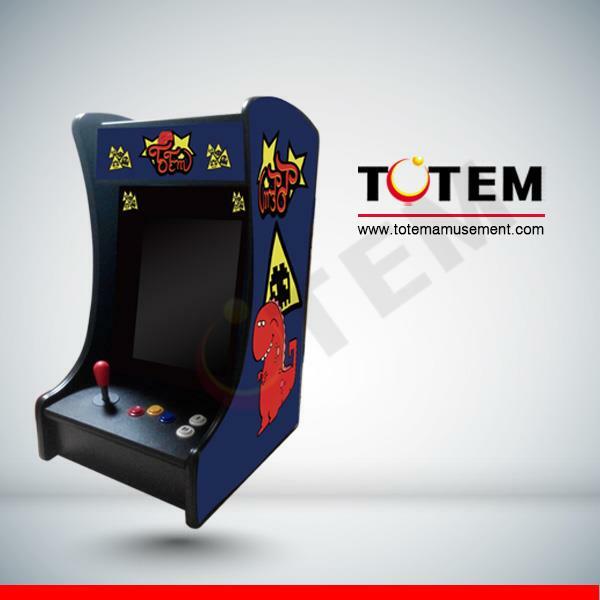 Totem 17 inch 60 Classic Mini Cocktail Arcade Game Machine (Description: 1. Suit for: game center, home, Party, Bars, Club, Advertising, Present etc 2. 60 in 1 classic game 3. Customize artwork or ours 4. 17 inch samsung / LG TFT LCD 5. 4/8 joysticks and pushbuttons 6. 28P standard jamma harness 7. No coin acceptor 8. Size: W376*D450*H700mm 9. Package: W450*D540*H780mm 10. Black MDF ) collected in Totem - Chris by Chris Wu - Collected It!